La película mexicana "Roma", de Alfonso Cuarón, y "The Favorite", de Yorgos Lanthimos, parten como las máximas favoritas en la 91 edición de los Óscar con diez nominaciones cada una, informó hoy la Academia de Hollywood. La estatuilla a mejor película la disputarán "BlacKkKlansman", "Black Panther", "Bohemian Rhapsody", "The Favourite", "Green Book", "Vice", "Roma" y "A Star is Born". 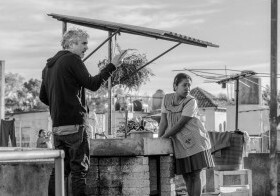 Las candidaturas de "Roma" son a mejor película, mejor director, mejor actriz, mejor actriz de reparto, mejor película de habla no inglesa, mejor fotografía, mejor guion, mejor diseño de producción, mejor edición de sonido y mejor mezcla de sonido. Es la primera vez que una cinta en español (y mixteco) es nominada al Óscar más importante, el de mejor película. 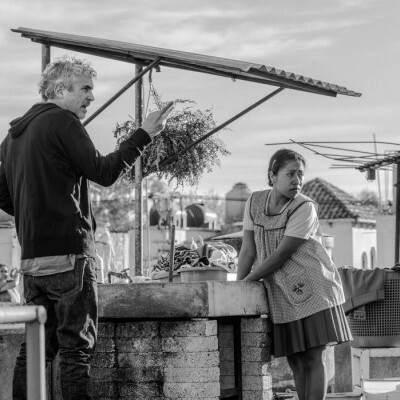 Antes de "Roma" nueve filmes extranjeros -entre ellos "Il Postino", "Z" o "Life is Beautiful"- lograron esta candidatura pero ninguno lo consiguió. Mejor película: “A Star Is Born”, “Roma”, “Green Book”, “The Favourite”, “Black Panther”, “BlacKkKlansman”, “Bohemian Rhapsody”, “Vice”. 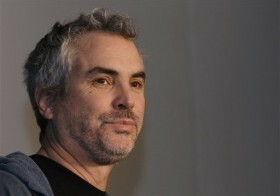 Dirección: Spike Lee, “BlacKkKlansman”; Pawel Pawlikowski, “Cold War”; Yorgos Lanthimos, “The Favourite”; Alfonso Cuarón, “Roma”; Adam McKay, “Vice”. Actor: Christian Bale, “Vice”; Bradley Cooper, “A Star Is Born”; Viggo Mortensen, “Green Book”; Willem Dafoe, “At Eternity’s Gate”; Rami Malek, “Bohemian Rhapsody”. Actriz: Glenn Close, “The Wife”; Lady Gaga, “A Star Is Born”; Yalitza Aparicio, “Roma”; Olivia Coleman, “The Favourite”; Melissa McCarthy, “Can You Ever Forgive Me?”. Actor de reparto: Mahershala Ali, “Green Book”; Sam Elliott, “A Star Is Born”; Adam Driver, “BlacKkKlansman”; Richard E. Grant, “Can You Ever Forgive Me?”; Sam Rockwell, “Vice”. Actriz de reparto: Amy Adams, “Vice”; Marina de Tavira, “Roma”; Regina King, “If Beale Street Could Talk”; Emma Stone, “The Favourite”; Rachel Weisz, “The Favourite”. Película en lengua extranjera: “Never Look Away” (Alemania); “Shoplifters” (Japón); “Capernaum” (Líbano); “Roma” (México); “Cold War” (Polonia). Guion adaptado: “The Ballad of Buster Scruggs”, Joel Coen y Ethan Coen; “BlacKkKlansman”, Charlie Wachtel, David Rabinowitz, Kevin Willmott y Spike Lee; “Can You Ever Forgive Me?”, Nicole Holofcener y Jeff Whitty; “If Beale Street Could Talk”, Barry Jenkins; “A Star Is Born”, Eric Roth, Bradley Cooper y Will Fetters. Guion original: “The Favourite”, Deborah Davis y Tony McNamara; “First Reformed”, Paul Schrader; “Green Book”, Nick Vallelonga, Brian Currie y Peter Farrelly ; “Roma”, Alfonso Cuarón; “Vice” Adam McKay. Cinta animada: “Incredibles 2”, “Spider-Man: Into the Spider-Verse”, “Mirai”, “Ralph Breaks the Internet”, “Isle Of Dogs”. 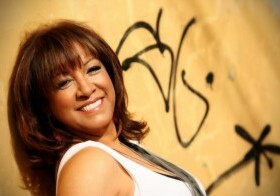 Corto animado: “Animal Behaviour”, “Bao”, “Late Afternoon”, “One Small Step”, “Weekends”. Diseño de producción: “Black Panther”, ″The Favourite”, ″First Man”, ″Mary Poppins Returns”, ″Roma”. Cinematografía: “Cold War”, Lukasz Zal; “The Favourite”, Robbie Ryan; “Never Look Away”, Caleb Deschanel; “Roma”, Alfonso Cuarón; “A Star Is Born”, Matthew Libatique. Música original: “Black Panther”, Ludwig Goransson; “BlacKkKlansman”, Terence Blanchard; “If Beale Street Could Talk”, Nicholas Britell; “Isle of Dogs”, Alexandre Desplat; “Mary Poppins Returns”, Marc Shaiman. Canción original: “When A Cowboy Trades His Spurs For Wings” de “The Ballad of Buster Scruggs”, música y letra de David Rawlings y Gillian Welch; “All The Stars” de “Black Panther”, música de Mark Spears, Kendrick Lamar Duckworth, Anthony Tiffith, letra de Kendrick Lamar Duckworth, Anthony Tiffith y Solana Rowe; “I’ll Fight” de “RBG”, música y letra de Diane Warren; “The Place Where Lost Things Go” de “Mary Poppins Returns”, música de Marc Shaiman, letra de Scott Wittman y Marc Shaiman; “Shallow” de “A Star Is Born”, música y letra de Lady Gaga, Mark Ronson, Anthony Rossomando y Andrew Wyatt. Diseño de vestuario: “The Ballad of Buster Scriggs”, Mary Zophres; “Black Panther”, Ruth Carter; “The Favourite”, Sandy Powell; “Mary Poppins Returns”, Sandy Pwoell; “Mary Queen of Scots”, Alexandra Byrne. Edición: “BlacKkKlansman”, “Bohemian Rhapsody”, “Green Book”, “The Favourite”, “Vice”. Maquillaje y peinado: “Border”, “Mary Queen of Scots”, “Vice”. Efectos visuales: “Avengers: Infinity War”, “Christopher Robin”, “First Man”, “Ready Player One”, “Solo: A Star Wars Story”.